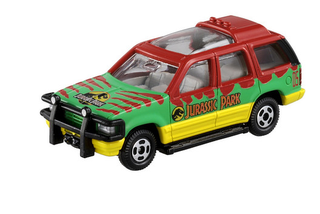 Tomica will be releasing the “Jurassic World Tour Vehicle” (aka Ford Explorer) in July. This will replace the Initial D R32 Skyline. So if you want one of those, get one before they run out.